It has asked Kerala government to suggest names for the post. A bench headed by Chief Justice J S Khehar said the new executive officer should be a consensual choice of amicus curiae Gopal Subramaniam and the temple trust. It directed the Kerala government to give the names of probables for appointment as executive officer to the amicus and the temple trust. The apex court also directed the concerned authorities to render their assistance to the new officer for discharging his duties. The bench agreed to change the existing executive officer of the temple committee against whom several allegations were levelled. The apex court had on May 3 suggested to the stakeholders, including the temple management committee and the Travancore royal family, to sit together and decide the names of experts for renovation of the historic Padmanabhaswamy temple without tampering with its archaeological heritage. Senior advocate Krishan Venugopal, appearing for the Travancore royal family, had earlier said there were several allegations against the executive officer of the temple management committee which cannot be brushed aside. Subramaniam had earlier expressed satisfaction over the manner in which the Kerala Water Authority (KWA) and the temple management were executing the court's order on cleaning the two water tanks at the Kerala temple. Earlier, the court had granted two months to the KWA to clean these water tanks. The government had fixed an estimate of Rs 28 lakh for the cleaning work. 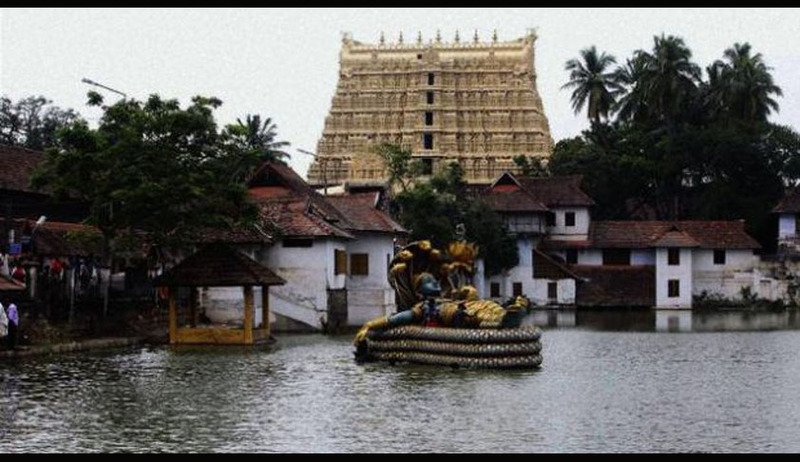 The apex court had earlier given two months time to clean up the pond of the historic Sree Padmanabhaswamy temple in Kerala.